General Joseph Votel has reservations about working with Russia in Syria. The commander of U.S. military forces in the Middle East has expressed reservations about America possibly working with Russia in Syria to help Syrian refugees return to their war-torn nation, a proposal that emerged from last week's summit between Presidents Donald Trump and Vladimir Putin in Helsinki. Given Russia’s continuing support for the Assad regime, General Joseph Votel, the commander of U.S. Central Command, says he would prefer to see confidence-building measures from Russia before the U.S. possibly entered into such an arrangement. “I would want to make sure that this isn’t something that we stepped into lightly,” Votel told reporters from ABC News and the Wall Street Journal, who are accompanying him on a trip to the region. The idea of a joint U.S.-Russian military effort to facilitate the return of Syrian refugees had emerged as one of the topics discussed by presidents Trump and Putin during their private one-on-one meeting in Helsinki last week. Since Syria erupted into civil war in 2011 almost 1.7 million Syrians have fled into neighboring countries and Europe. 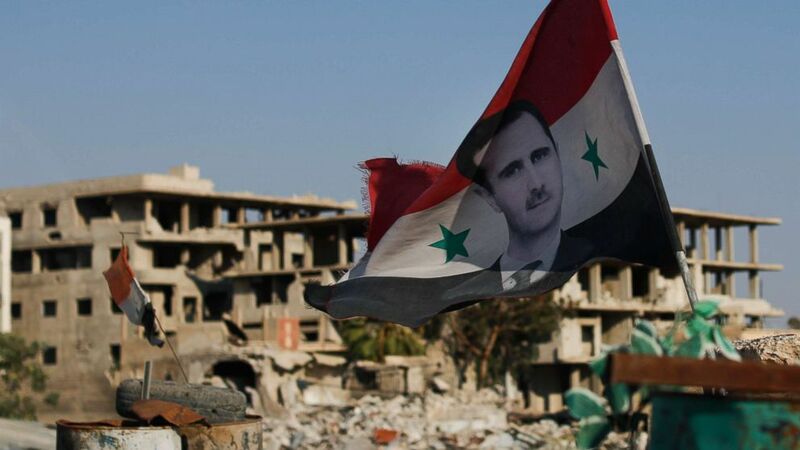 (Hassan Ammar/AP) A Syrian national flag with the picture of the Syrian President Bashar Assad hangs at an Army check point, in the town of Douma in the eastern Ghouta region, Syria, July 15, 2018. Votel stressed he has not received any guidance from the White House about the Helsinki talks and had only seen press reports about the proposed joint plan to return Syrian refugees. A spokesperson for the National Security Council who asked not to be identified said there were no agreements made except that both governments would continue discussions. Cooperation between the two militaries to help return the Syrian refugees is not possible under current law. Since 2014, the U.S. military has been prohibited from cooperating with their Russian counterparts in any capacity after Congress passed legislation prompted by Russia’s annexation of Crimea. However, both militaries engage in daily contact over a hotline for the “deconfliction” of the crowded airspace over Syria where American and Russian military aircraft operate. 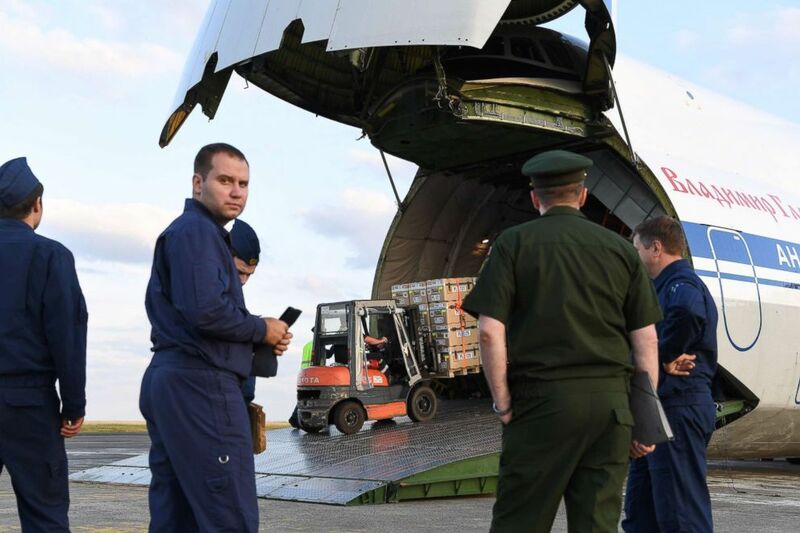 (Alain Jocard/AFP/Getty Images) Russian military service personnel watch as supplies are loaded onto an airplane in France, July 20, 2018. France and Russia are jointly delivering humanitarian aid to the former Syrian rebel enclave of Eastern Ghouta. Votel cited Russia’s continuing support for the Assad regime in Syria following chemical attacks on civilians and false claims of Russian troop reductions as reasons to be hesitant about possible future cooperation. “These are not things that give me great confidence that just by stepping over into the next level of coordination that things are going to be fine,” he added. Few details have emerged from U.S. officials about what the two presidents discussed in their one-on-one meeting in Helsinki. 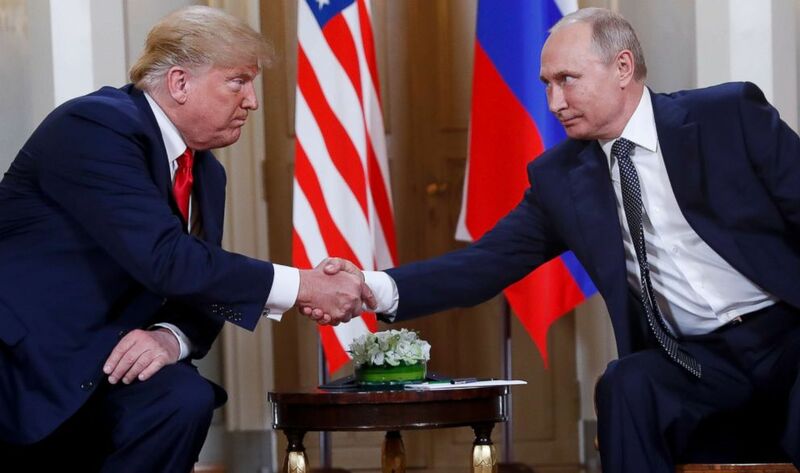 Instead, Russian officials have made vague references to “verbal agreements” made by the two leaders to deal with hot-button issues around the world, including Syria. But on Friday, Secretary of State Mike Pompeo confirmed that the presidents discussed the return of refugees to Syria. 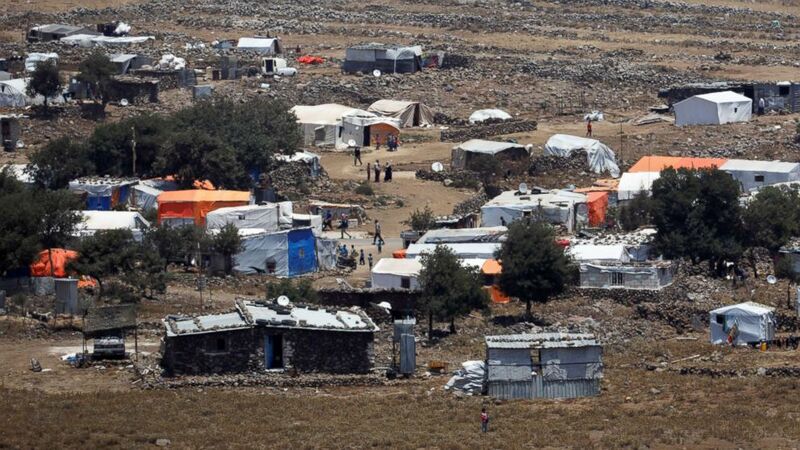 (Ronen Zvulun/Reuters) A general view of refugee tents erected on the Syrian side of the Israeli Syrian border, July 17, 2018. Neither Defense Secretary James Mattis nor General Joseph Dunford, the Chairman of the Joint Chiefs of Staff, have reacted publically to the proposal. For now, the deconfliction contacts are a “professional military exchange and we can handle that," said Votel. “Furthermore, moving beyond deconfliction to actual cooperation between the two militaries, even for a humanitarian mission, would require a change in the legal prohibition as well as new authorities,” Votel said.